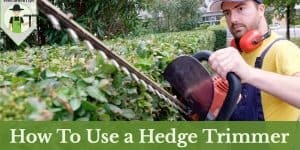 There are so many decisions that need to be made when it comes time to shop for a hedge trimmer, the first of which being what you want the source of power on that trimmer to be. 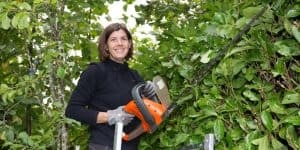 There are three different options as far as that decision goes, and they include gas-powered trimmers, battery-powered trimmers, and corded hedge trimmers. Each one has its own unique strengths and weaknesses. 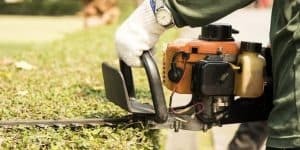 Gas-powered trimmers tend to be the most powerful, some being able to cut through branches that are up to 1” thick with no problem. When it comes to the big, hard jobs, there’s no denying that they have what it takes. However, they don’t trend towards being very environment friendly, and their power source is limited. You’ll have to keep them stocked up on gasoline and oil mixtures in order to keep them running. 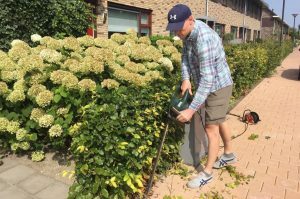 Battery-powered trimmers, on the other hand, are emission free, making them incredibly environment friendly. However, they don’t often have the power needed to get the big jobs done. Some of them come close, but most stop at about 1/2” branches. 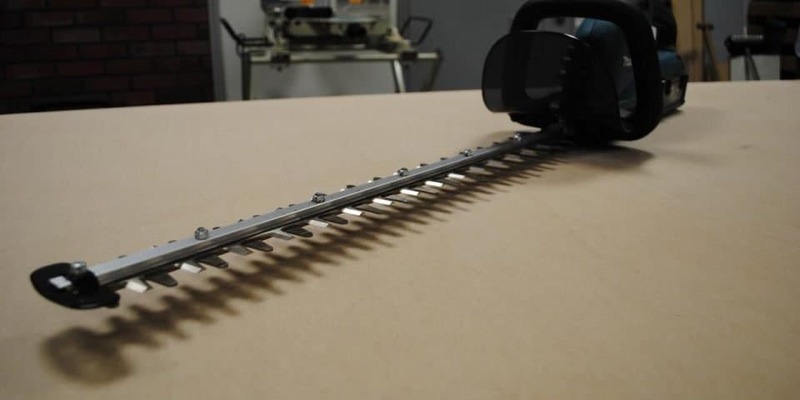 Then, there are corded trimmers which can be said to be the best of both worlds. They do have more power, often having a cutting capability of up to 3/4”, and because they use electric power, they are environment friendly. 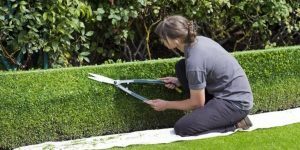 Another added benefit of corded trimmers is that as long as they are plugged in, their power supply doesn’t run out. We have published a full article on the differences between these two types of machines. Find it here. 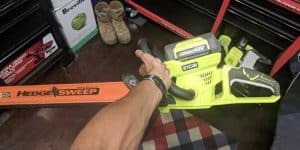 If you know you want an electric machine, but not sure whether you should buy a battery powered model or a corded electric one, read this article instead. 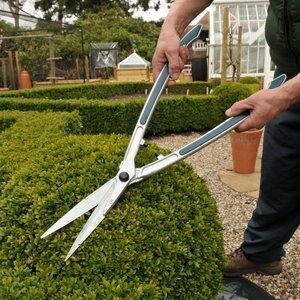 Lastly, you could keep things simple and opt for manual garden shears. 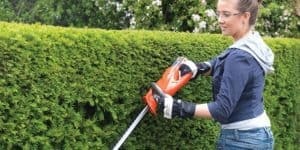 Regardless of what your preference may be, you’re sure to come out a winner with one of the trimmers in this article. Each has been reviewed and thoroughly enjoyed by a number of customers already, making it less of a gamble for you to reach out and give it a shot. One of the massive benefits we have today is that we can see what other people have had to say about the product after using it. 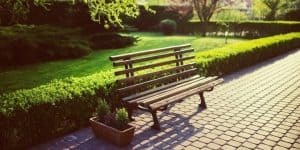 It means you have the chance to look out for any of the particular issues they may mention, as well as see just how frequently that issue actually shows up. Overall, these are all great trimmers. 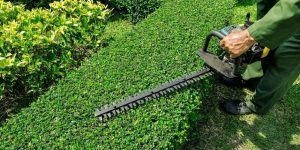 It’s just important to keep in mind what your needs are when shopping for a hedge trimmer. 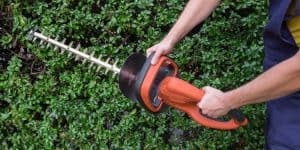 For example, considering corded hedge trimmers it’s a good idea to remember they are going to need ready access to an outlet. If you’ll be working where an outlet isn’t available, then make sure you have an extension cord that can more than reach the area. You’ll need to be able to plug the device in as well as be able to use it with a full range of motion. 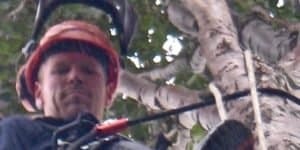 Be careful that you don’t accidentally cut through the cord. 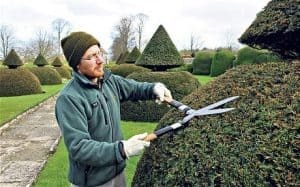 That can lead to a lot of frustration and likely having to buy a new trimmer altogether. 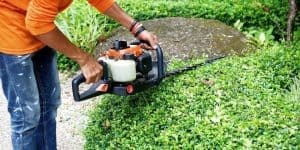 Keep an eye on the cord at all times and for better control, it’s a good idea to keep two hands on the trimmer. 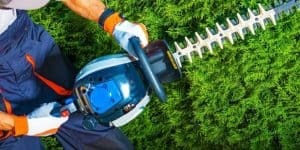 No matter what kind of trimmer you are using, safety is always most important when it comes to using these kinds of tools.